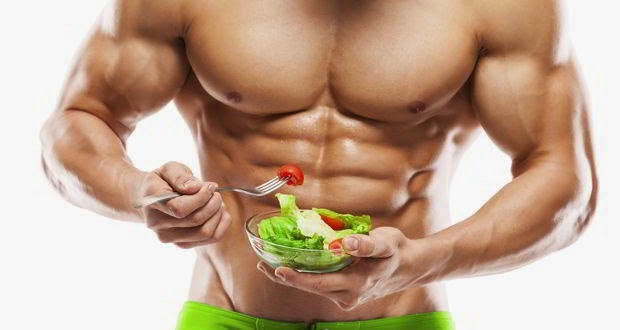 Why Diet is An Essential part of Body Building? Diet is essential – we have heard this a zillion times. It is by far the most cliched line we hear all through our lives. But what is so special about a bodybuilder's diet? Why is he cautioned and reminded innumerable times not to go wrong with this aspect of his training? It is because diet is one of the the key elements to build a body. It is recommended that he should take a combination of three nutrients to stay on top in his bodybuilding diet plan - carbohydrates, fats and proteins. Here we have decoded the 3 nutrient requirements and their role in a body builder's body. Why protein is an important part of a body building diet? Amino acids make proteins and proteins make muscles. Body builders require this nutrient to build, repair and maintain muscles after that intense weight training session. Protein keep lean mass on the body. Furthermore, it must be understood that human body produces just 12 amino acids out of the 20. So, the rest have to be supplemented with food. An ideal amount should be taken as an excessive amount harms kidneys and liver and the body starts burning valuable protein. For a bodybuilder, right amount of protein ensures that the growth is just right. Why carbohydrates are an important part of a body building diet? Human body depends on glycogen stored within to produce energy. But these stores are consumed during the workout as the body absorbs a large amount of carbohydrates during it. Post workout scarcity of carbs in the body leads to breaking down of muscle tissue in order to revive muscle glycogen levels. So the empty glycogen stores need to be refilled with carbohydrates. This is primarily the reason a bodybuilder should include carbohydrates in his pre-workout meal. Carbohydrates reinstate glycogen levels and create insulin spike to release nutrients to the muscle tissue faster. Why fats are an important part of a body building diet? It is a calorie dense nutrient with 9 calories per gram. Being a concentrated source of energy (even more than carbohydrates and proteins), no fats should be eaten post workout. It is a boon for body builders who intend to gain mass and require a surplus in calories. Just two spoons of peanut butter provide same amount of fats as approximately 5 kg of broccoli. Also, fat are essential for maintaining cell membranes. These membranes need to be maintained in order to ensure regulation of substances in and out of the cells. With this one nutrient out of order, no other nutrient can work well. Fats aid in the maintenance of body temperature and keeps one warm and also protect vital organs from damage. Eat slow digesting proteins such as casein and meat. It enables protein presence in the blood all through. It has been shown that amino acids are delivered better when a pre-workout meal contains protein. Eat low GI carbohydrates. These provide a steady flow of energy. Eat egg yolk. It contains good fats. Post workout, a body builder should eat proteins and carbs but not fats to start the rebuilding process as soon as possible. This prevents body from breaking down muscle fibers and also stimulate muscle growth. The diet plan ensure same benefits as the best bodybuilding supplements. Nice post! When I started bodybuilding It was so difficult for me to stay motivated for fitness. But thanks to my trainer he trained me well and suggested me best muscle building supplements. Fitness is both physiological as well as physical. If you are not motivated enough, yiu might find it difficult to exercise. Diet equally plays a major role. Thanks for dropping by..
A balanced weight is an essential element of optimal health. The quantum you munch, what do you munch has main roles in keeping a healthy weight or reducing weight. The other key factor is Exercise.